Number five. RM18. 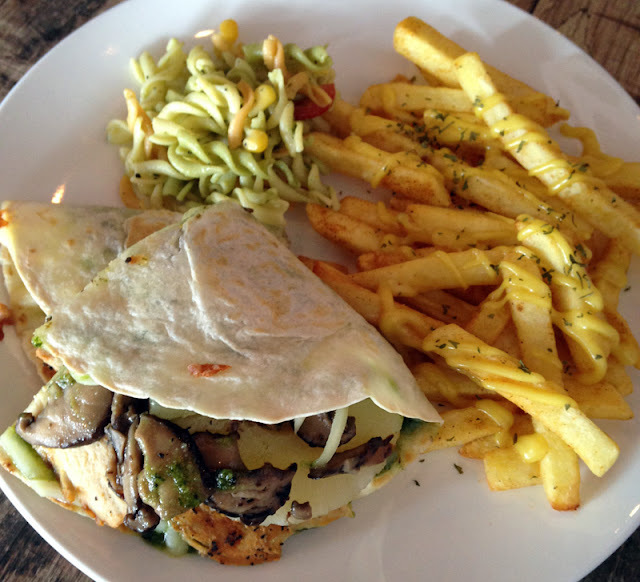 Chicken breast, cheese, pineapple and mushrooms all stuffed in that tortilla. Served with cheese fries and pasta (I don't know why but I'd rather have greens than pasta salad... Carb overload!). Very clever to have cheese - makes everything taste good! Sunday's mancake. RM19. The combination of sweet and savoury is just brilliant. 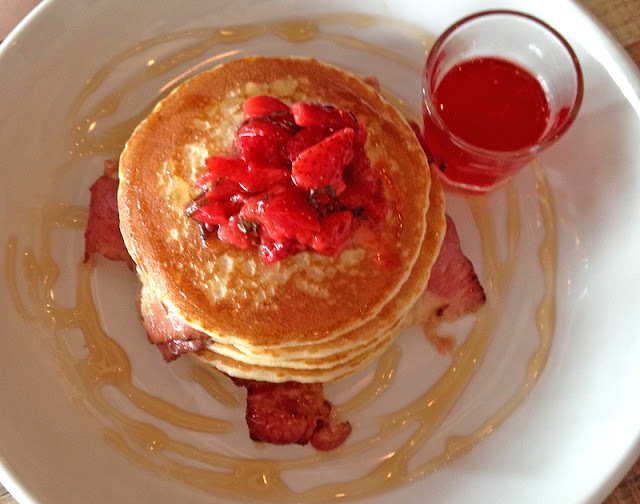 Who would have ever thought that beef bacon would go so well with pancakes?! Local penkek. RM17. 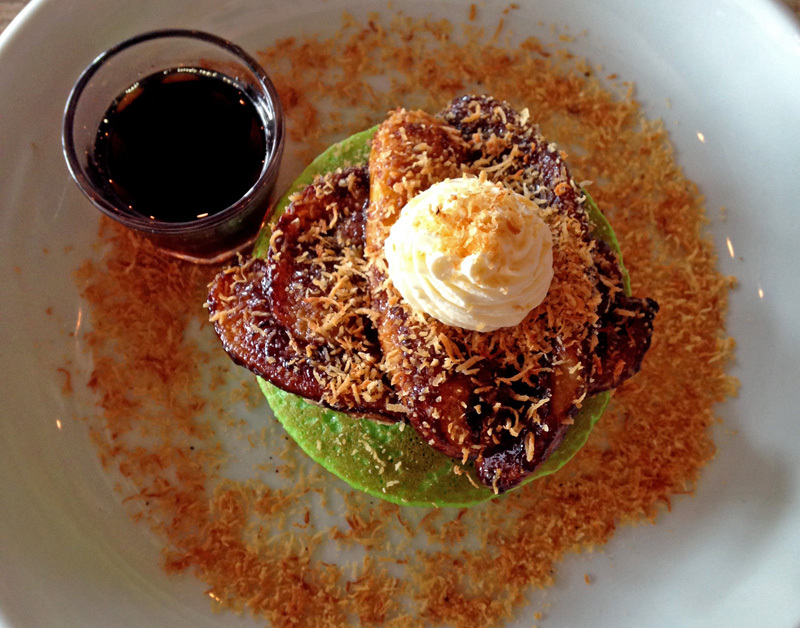 The reason I came to try - I'm a fan of pandan! 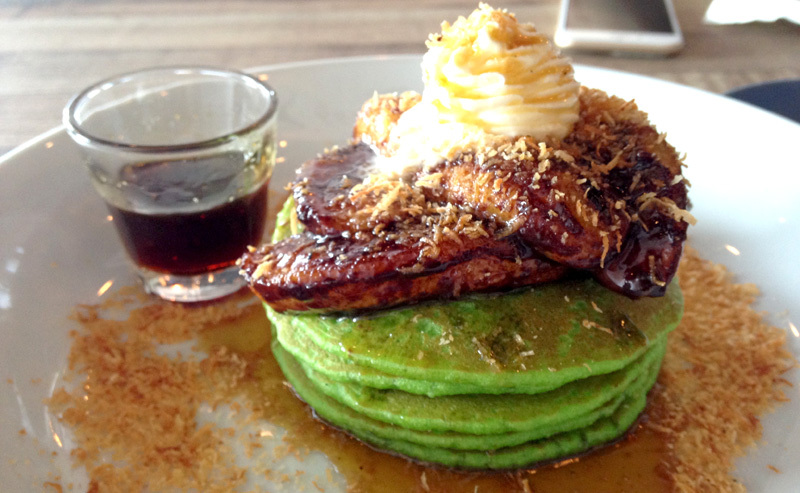 Caramelised banana served on pandan pancakes. Gula Melaka on the side. Though I would have to say this was my least favourite of all. The colour itself is such a turn off - that green. I've seen pictures online but the green did not look like what I see in pictures. Look at the one posted by EatDrinkKL, it certainly did not look like it. Too much fine tuning or the version served to them is different. I'm really not too sure, the green is way too artificial. As for the flavours it wasn't too bad, but just tad bit sweet. I prefer the mancakes over this one! Overall: Satisfied. I wouldn't mind trying other stuff in the menu, maybe next time. Sunday's mancake is a MUST! This cafe is pretty busy, go earlier to secure your table!